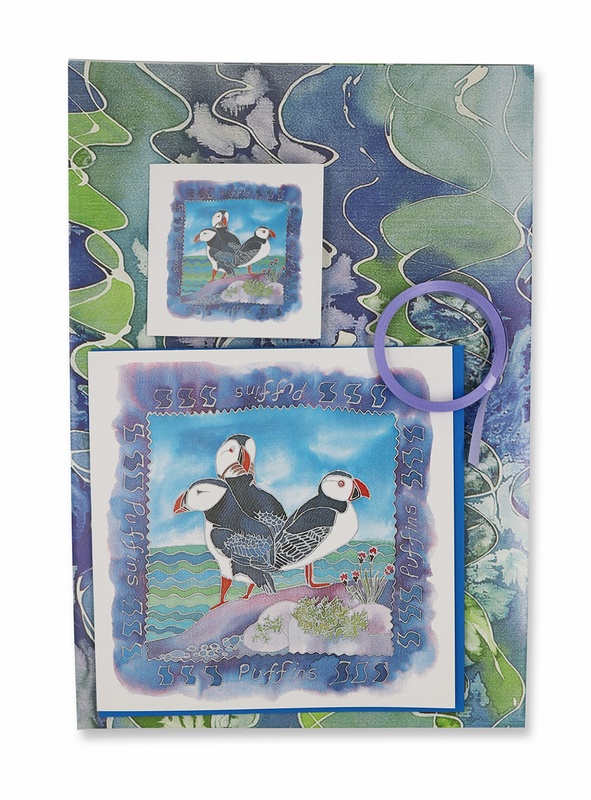 This gift wrap set has a waves pattern on the gift wrap and a puffin image on the greetings card and gift card. Suitable for all wildlife lovers. This luxury gift wrap contains a sheet of gift wrap measuring 645 mm x 470 mm, a greetings card, a gift card and a piece of curling ribbon to tie.